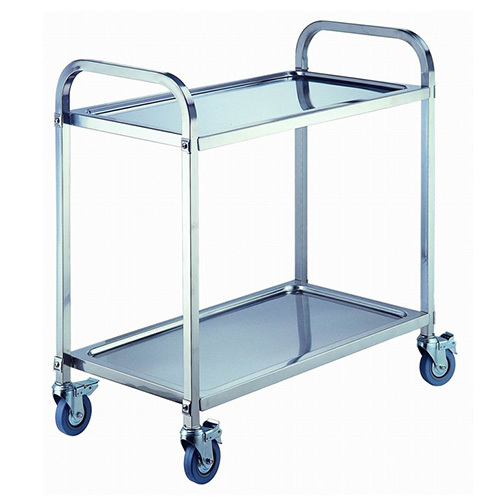 Easily transport a variety of supplies throughout your kitchen and dining area with this Choice stainless steel utility cart! A total of four durable, stainless steel shelves can hold a wide array of items and are spaced large apart for optimal storage and capacity. It features 4 swivel casters, including 2 with brakes, that allow you to maneuver around furniture and corners with ease. Each shelf combines to support 220 lb. of evenly distributed weight, providing your operation with limitless versatility.